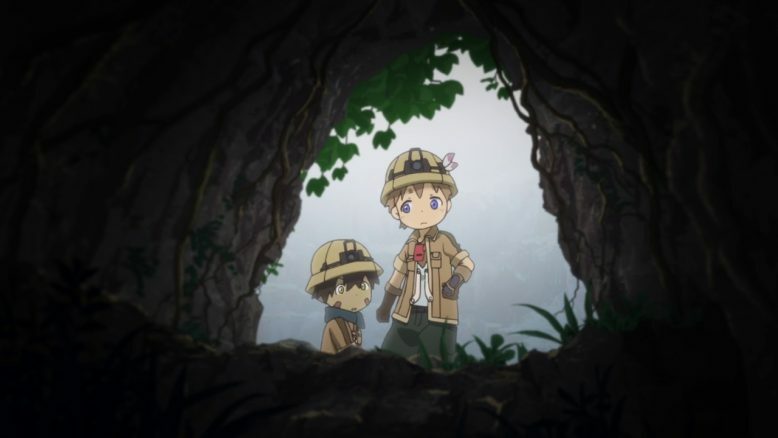 Now then … this episode was the buildup to Riko and Reg deciding to head into the Abyss together, but one of the interesting things that we were able to see was not only how they came to the decision separate from each other. With this in mind we are also given a sort of overview of the currently known levels of the Abyss based on the reports delvers have brought back. 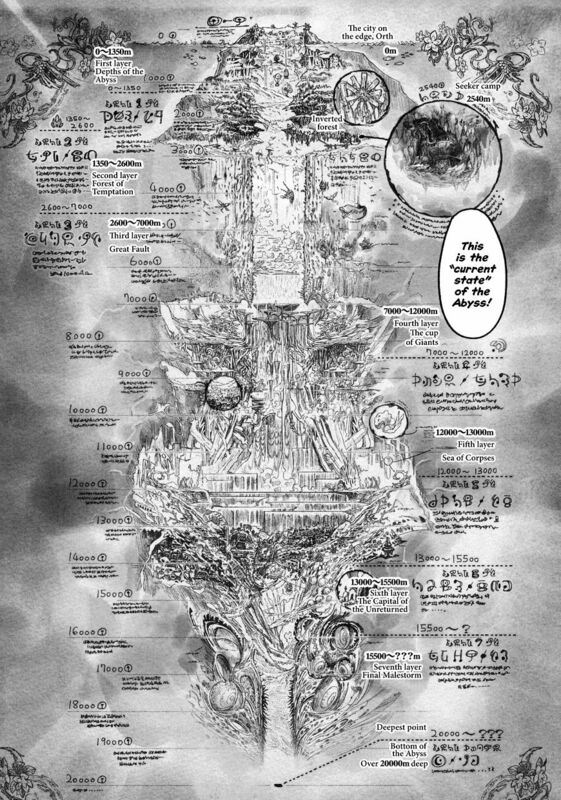 For those interested in the map from the source manga itself (which was basically colored and put directly into the anime) one can see it HERE. We are also given (via Shiggy’s narrative, though we were introduced to a little bit of this subject in the previous episode) a slightly more detailed thumbnail sketch of the first six layers – namely what they are named, what happens to delvers who go there, what lives there (and devours unsuspecting or uncautious delvers), and so on. When Nat begins to seriously try to dissuade Riko from heading down into the Abyss it is with very good reasons, yes, but he seems to be a bit more concerned about the effects on the curses present on the various levels than the fantastical Lovecraftian monsters down there. One of the nice things we also saw in this episode was the focus it brought to Nat as a person, yes, but also into those elements that contributed to who he is now. He grew up in the poorest parts of the city of Orth in an area known as “the wharf”, and did so in extremely wretched and unsanitary living conditions – the story Reg gave to “Leader” to be allowed into the orphanage last episode was basically Nat’s own. In comparison with that Nat’s life as a red whistle in the orphanage is like night and day, and more importantly for him on a personal level the friendships he has developed over the years are something he really values. 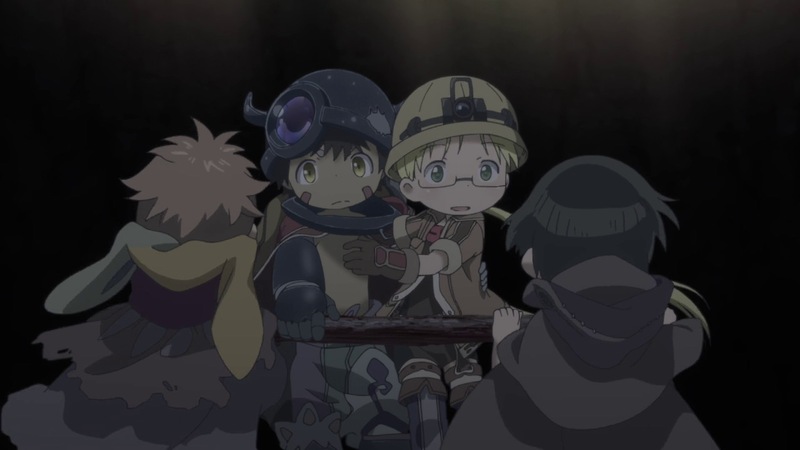 When it comes down to it he is quite a different person than Riko (who has a bit of the crazed, mad-scientist streak in her, it seems), and his “humanity” is exactly the sort of thing Riko has needed to be around, I feel. 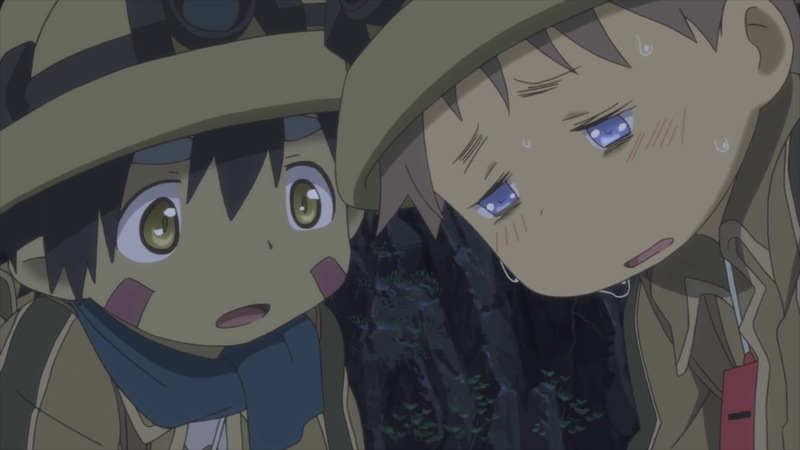 And I would guess that there is a part of Riko that knows it and appreciates it. 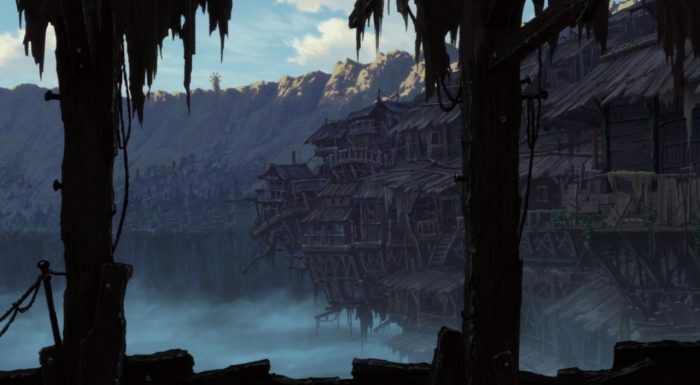 But even so for Riko the draw of both the Abyss itself and her yearning to meet up again with her mother is far more visceral in her inner makeup … something that perhaps Nat himself also intuits even if he does not agree with it. 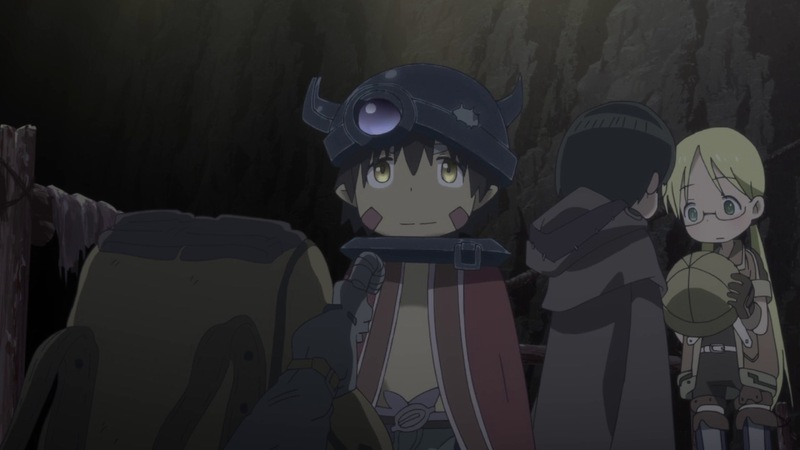 At the very least she will have Reg with her, who, as a robot, seems to be unaffected by the curse of the Abyss? Hafta admit that those extending arms would make climbing down also quite handy (no pun intended), and while being quite strong and resistant to injury Reg does have that petrified tree melting beam thing he can shoot out of his hand as well. Not a bad companion to go down with.